Takeaway: Boost the performance of your garden with the latest products available for modern growers, featuring items from Hydrofarm, California LightWorks, SuperCloset, Titan Controls, and Reiziger. These products are all #GoodtoGrow. The Titan Controls Spartan Series Complete Digital Environmental Controller will allow you to precisely monitor and control the environment in your growroom. 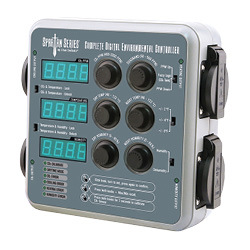 Featuring an easy-to-use analog interface, this digital controller is easy to program and use. Each set point (temperature, humidity, and CO2) are programmed using a set of dedicated knobs. Readings are displayed on easy-to-read digital displays. The sensor that measures the temperature, humidity, light, and CO2 levels in your room attaches to the controller with a 15-foot cord. The enclosure resists dust, rust, and moisture. The controller specs are 14.5A maximum/120V/60Hz. Introducing the new SuperCloset Complete Dryer Tent Kit. This system comes with everything you need for your post-harvest success. The strength of the award-winning Gorilla Grow Tent protects your crop from light penetration while a Phresh Carbon Filter and Hurricane Inline Fan promote healthy airflow for humidity control and odor scrubbing for discreetly eliminating pesky aromas. The custom drying rack assembly is sturdy enough for your most plentiful harvests and is easily adjustable to allow for custom spacing to suit your needs. 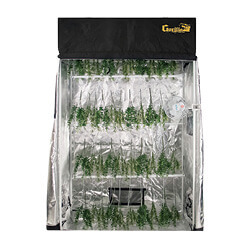 The included hangers offer a convenient way to hang your drying plants to evenly space them for an even cure. An adjustable internal circulation fan assists in keeping your environment fully circulated, eliminating the dangers of high humidity. It works in tandem with your odor protection to keep your dryer system fresh from mold and mildew. The Complete Dryer Tent Kit is the best, all-in-one turn-key system for your post-harvest. Easy to set up for when you need the perfect environment, and the most efficient way to keep your perpetual grow on schedule. The Solar System 1100 was designed by growers for growers, so you can be confident it will deliver in quality and reliability. The 1100 matches the sun’s spectrum, allowing you to grow your plants from seed to harvest while setting them up for better health and yield at lower energy costs for you. Use the SolarSystem Controller to customize the spectrum and its intensity for your plants’ growth stage and encourage efficient development to maximize output. The 1100 is the most powerful light ever made by California LightWorks and features the latest generation of high-efficiency LEDs as well as the most versatile control system on the market. 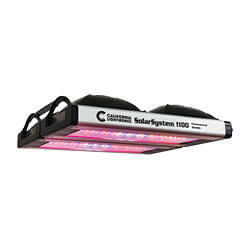 The Solar System 1100 is fully programmable to mimic natural conditions, from a daily sunrise/sunset setting to season-specific light compositions, including summer-like blue-dominant lighting to encourage vegetative growth and autumn-like red-dominant light to encourage flowering. Customize lighting for specific plants and save the settings. Whatever their stage of growth, you can be sure the California LightWorks Solar System 1100 will deliver exactly what your plants desire, making for happier plants. Happier plants mean larger and better-quality harvests. 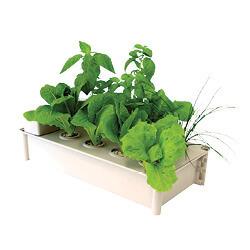 The Salad Box, available exclusively from Hydrofarm, is great for anyone who wants to keep a constant supply of fresh salad greens and herbs handy and ready for harvesting. It can be used outdoors or indoors under grow lights, and fits perfectly under Hydrofarm’s Jump Start Two-foot T5 Grow Light System. Using a passive hydroponic method, the Salad Box requires no electricity and very little maintenance. Featuring eight plant sites, the Salad Box includes everything needed (except the water) to turn seedlings into salad. Comes with eight Root Wraps, a reservoir tray, lid, top-off bottle, net cups, drain plugs, and nutrients. Power, performance, respect. 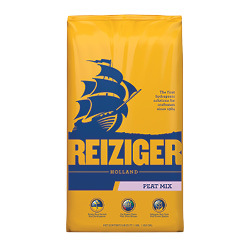 Reiziger Peat Mix is not only the most technologically advanced peat blend ever made, it is also the most effective. Its formula is remarkably effective, providing your plants with the optimum balance of air and water, resulting in strong roots to grow healthy, beautiful plants. This is a substrate for the inquisitive, the confident, and the intrepid. Exceptional performance is united with fine-tuned ingredients, all delivered in a style that exudes a sense of mystery and refinement. Intended to push the boundaries of design and manufacture, Reiziger Peat Mix is the quintessence of The Seed Bank of Holland’s dream: Take the greatest that exists and make it greater.